Kick off your visit on the 27th (Mon): explore the historical opulence of The Grand Palace, then take in the spiritual surroundings of Temple of Dawn (Wat Arun), then contemplate the waterfront views at Chao Phraya River, and finally admire the landmark architecture of Jim Thompson House. On your second day here, explore the striking landscape of Dong Phayayen-Khao Yai Forest Complex. 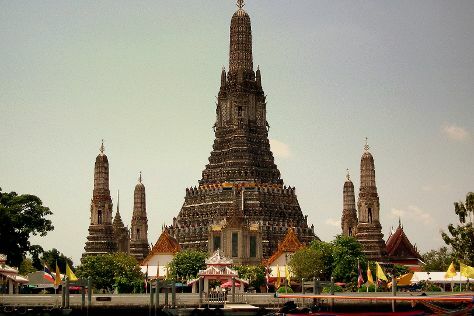 To see maps, more things to do, photos, and tourist information, you can read our Bangkok travel guide. If you are flying in from United States, the closest major airports are Don Mueang International Airport and Suvarnabhumi Airport. In June, daytime highs in Bangkok are 93°F, while nighttime lows are 79°F.